Bring your bags and/or boxes of paper to be shredded. An experienced operator from DocuVault Delaware Valley will move the bins to a highly secure, mobile shredding unit where your confidential material will be destroyed before your eyes. • 100% of the paper is recycled. • Please bring paper only! Plastic bags, metal, binders and binder clips cannot be shredded. Paper clips and staples are acceptable. 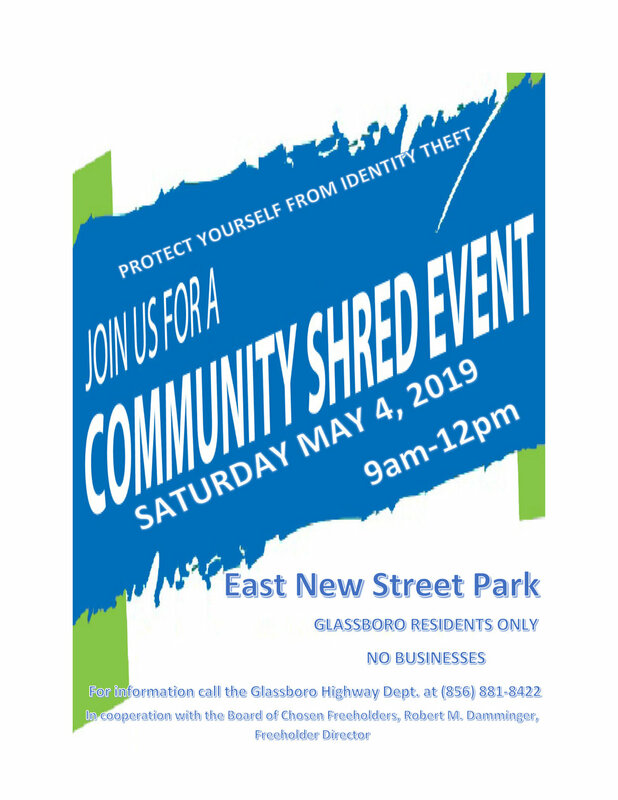 This event is for GLASSBORO RESIDENTS ONLY. Not open to non-Glassboro residents, any businesses, or non-profits.